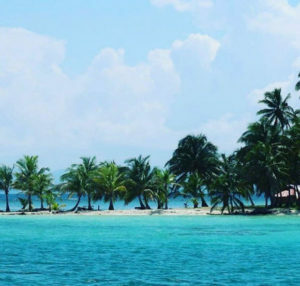 So you’ve start planning your trip to the San Blas, Congratulations! But a few thoughts run across your mind. What is the weather like, when is the best time to travel and does it get very cold? Those are always the questions we ask ourselves when traveling, you must know what to pack and will there be a need for a good sweater or parka. No need for a parka in the San Blas Islands ever! This is a very tropical region and maybe a light sweater during those winter months;which technically are not even close to the winters in states. The winter weather in the San Blas, Colombia and Panama have a tropical climate, which include high trade winds, a few raindrops here and there and of course sporadic clouds throughout the skies, but never a snowflake. The temperature stays between 20℃ and 35℃ (68℉and 95℉) year around inland and 25 ℃ to 27℃ ocean temperature (77℉ to 82℉); perfect for doing your exploring the islands and swimming.The rest of the year is basically an incredibly long 8 month summer.The beautiful flowers and perfect weather with little to no rain with the steady temps and steady light winds blowing across your body; making this region a true paradise without a doubt. So if you’re going to the islands between December and April be prepared with a light jacket/sweater and possibly an umbrella for those rainy days and a swimsuit for those wonderful sunny days.